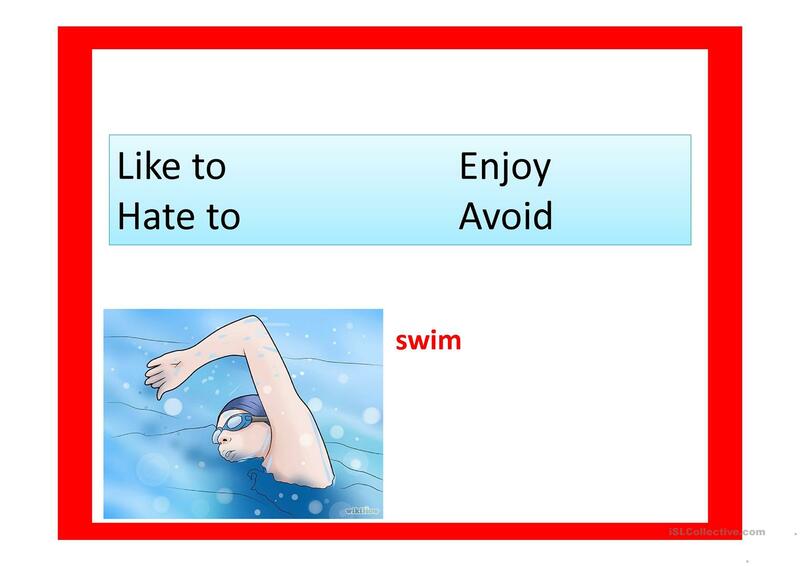 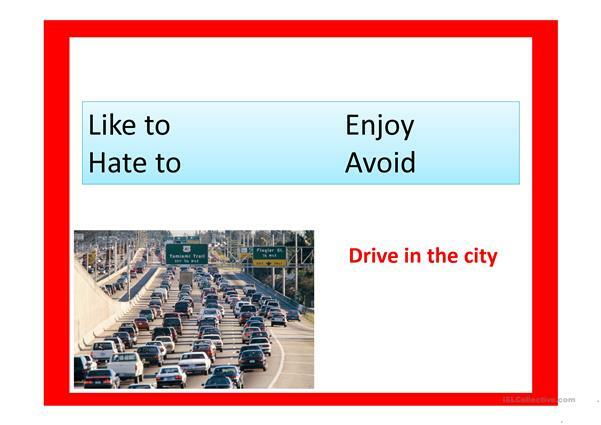 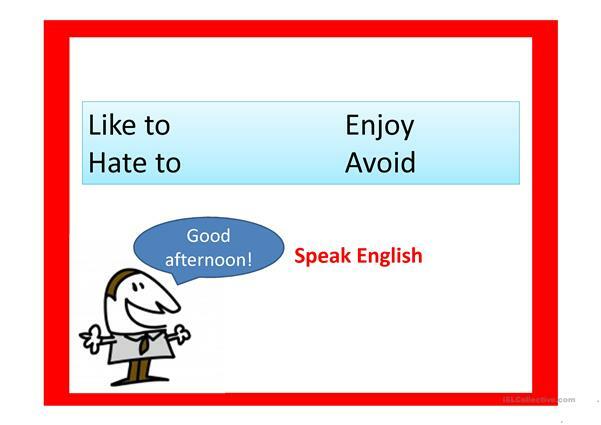 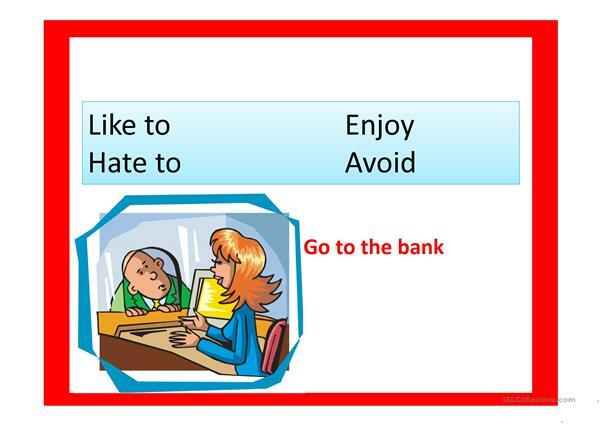 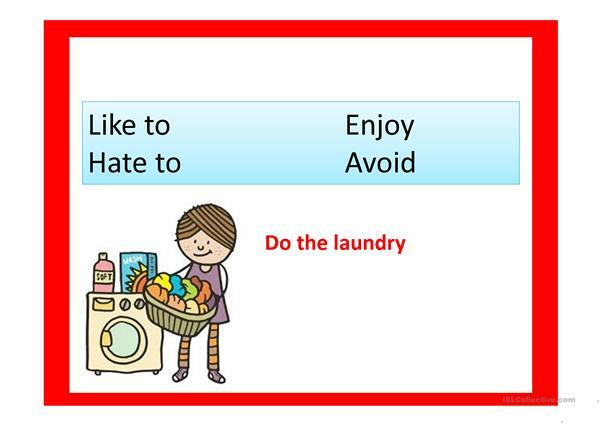 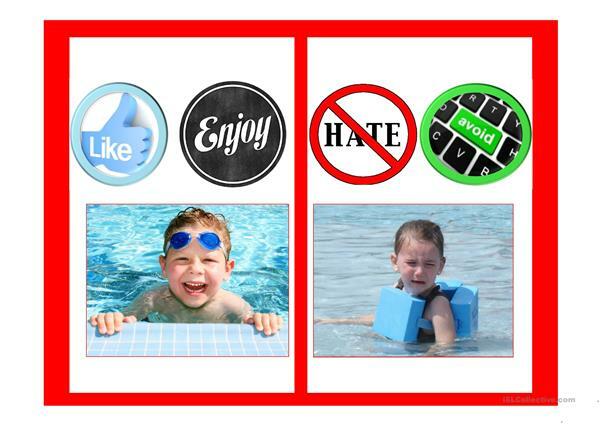 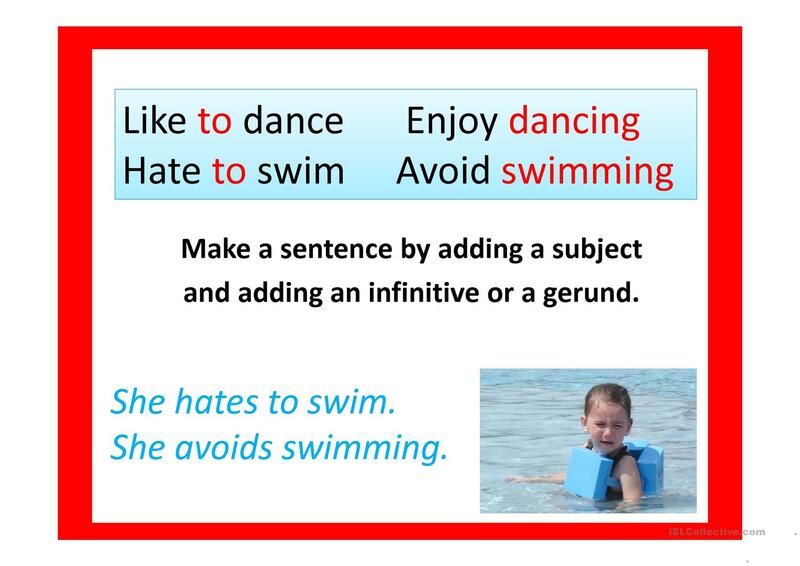 Practice saying sentences with Like, Hate, Enjoy, Avoid + gerunds or infinitives. This downloadable handout is recommended for business/professional students, high school students, elementary school students, adults and students with special educational needs, learning difficulties, e.g. 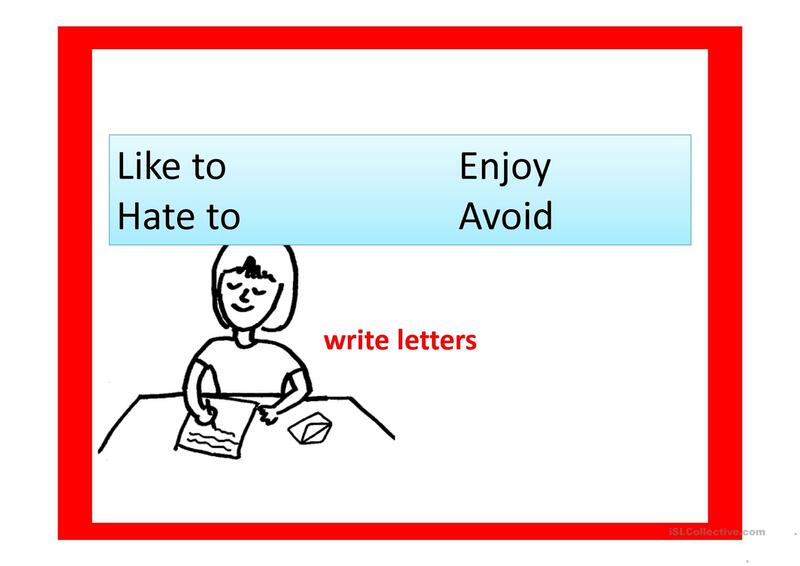 dyslexia at Pre-intermediate (A2), Intermediate (B1), Upper-intermediate (B2) and Advanced (C1) level. 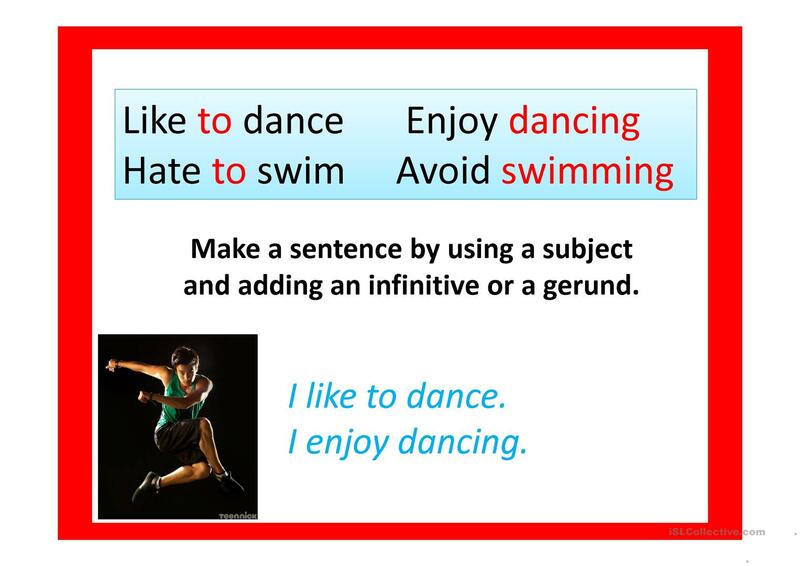 It is aimed at practising Gerunds and Infinitives in English, and is excellent for working on your pupils' Speaking and Reading skills.